The basic premise of EnSuite is to democratize access to 3D CAD data across the organization to groups outside of engineering/design, including sales/marketing, purchasing, quality, estimation, manufacturing, packaging, and customer service, among others. EnSuite includes tools to provide quick access to critical engineering information residing in CAD data, no matter which CAD system was used to author it. CCE Releases EnSuite 2019 packed with new featuresLatest release includes interactive assembly tools, wall thickness analyzer, latest CAD version support and much more! FARMINGTON HILLS, Mich. – (Feb. 19, 2019) - CCE, a leading provider in advanced interoperability technology, has announced the release of the latest version of its flagship viewer and translator software, EnSuite. EnSuite provides users the ability to view, analyze and translate data from all major CAD formats. EnSuite can now view and translate SOLIDWORKS 2019, Solid Edge 2019 and Parasolid 31 files. It was also enhanced to write tessellation data to CATIA V5 files. EnSuite also allows viewing of SOLIDWORKS and Creo drawing files. 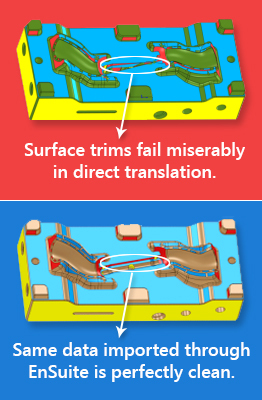 Batch translation application now leverages parallel processing capabilities and can simultaneously translate multiple parts from CATIA V5, Autodesk Inventor, Unigraphics (NX) and Solid Edge to IGES, STEP, Parasolid, VDA, STL, SOLIDWORKS, CATIA V5 or NX thereby significantly reducing overall translation time. Move component feature allows users to interactively move assembly components in any user specified direction. This makes it very useful for conducting walk throughs of assembly files during design review meetings, especially to reach hard-to-access components in a large assembly. Multibody parts can now be saved as assemblies in EnSuite. Wall Thickness Analyzer tool helps the user measure and analyze the thickness of a part. This is especially useful for plastic parts and castings since it provides visual cues to identify potential failure regions or design flaws. “This is a great start to the new year. We are very excited about the updates in EnSuite 2019. What makes this release particularly significant is that almost all these enhancements were driven by user requests that we were able to turn around and deliver in very short order. We can’t wait to hear what our customers think about these new features”, says Debankan Chattopadhyay, Manager of Business Development at CCE. Customers with an active subscription can get free access to these new EnSuite updates. For additional information, please visit EnSuite on our website. EnSuite is a standalone software used to view and translate 3D CAD data and provides quick access to critical engineering information residing in CAD files, no matter which CAD system was used to author the data. EnSuite is completely CAD-independent and can be used across the extended enterprise without incurring costs associated with expensive CAD licenses. The software works with all major 3D CAD formats, including CATIA V4, CATIA V5, CATIA V6, NX, Creo, SOLIDWORKS, Autodesk Inventor, Solid Edge, Parasolid, JT, ACIS, CGR, STL, 3D PDF, IGES, and STEP. 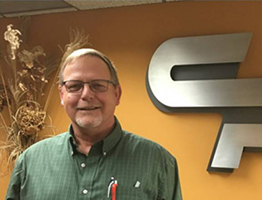 FARMINGTON HILLS, Mich. – (Nov. 02, 2018) - CCE, a leading provider of advanced CAD interoperability technology, has announced that Chemtech Plastics, a leader in precision injection molding and insert molding, has adopted it's flagship software, EnSuite, for reliable and accurate multi-CAD data translation. Chemtech Plastics is an industry leader in the custom injection molding field, serving the automotive and medical markets. Chemtech’s core competencies include straight molding, insert/over-molding and multi-shot (2K, 3K) molding. In addition, they offer value-added services including pad printing, ultra-sonic welding, laser etching, and high-level automated assembly. Chemtech Plastics adopted CCE’s EnSuite back in August. Since then, they have been using the software extensively for all their CAD data translation requirements. “Here at Chemtech Plastics, Inc., we have found the EnSuite translation product to be a valuable tool in our business of working with different flavors of customer CAD data. EnSuite is our most reliable means of achieving clean and accurate data translations from the several different programs our customers use. The ability of EnSuite to handle complex spline trims on contoured faces is one attribute that really sets it apart from our other translation solutions. The option to export directly to our SOLIDWORKS file format is also especially helpful in retaining the integrity of the customer’s geometric design intent," said Brian J. Fransen, Chemtech’s Senior Engineer. “Chemtech’s feedback is most gratifying. These kind words serve as great encouragement for the entire team here at CCE as we constantly strive to enhance EnSuite and ensure its place as the world’s premier CAD translation software,” added Debankan Chattopadhyay, CCE’s Manager of Business Development. FARMINGTON HILLS, Mich. – (Oct. 9, 2018) – CCE, a leading provider of advanced CAD interoperability technology, has announced the latest update of its flagship CAD viewer and translator software, EnSuite focused primarily on tools to help reverse engineering and rapid prototyping, which are key components of most competitive benchmarking projects. "EnSuite's latest release focuses on our customer base that uses our software for reasons outside of just simple multi-CAD viewing or translation capabilities, which in itself are solid reasons. But for people who live and breathe in the world of reverse engineering, rapid prototyping and competitive benchmarking, the ability to ensure that a digital scan of a physical part matches with the CAD model within specified tolerances and being able to analyze and export that data for downstream applications is very critical,” said Debankan Chattopadhyay, CCE's Manager of Business Development. 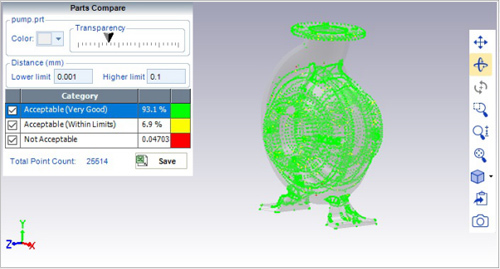 Doesn't require specific CAD authoring system in order to access critical information. Easily accessed by all parts of organizations. Viewing available for all major native CAD & standard formats.